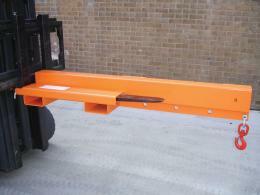 With our fork truck attachments, you will be able to turn your forklift into far more than what you had imagined. 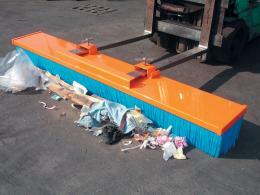 This essential piece of equipment has commonly been looked at as a lifting, loading and unloading tool. However, our fork truck attachments give it far more to do and offer, turning it into any number of ways to support your business. 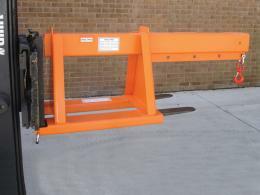 The fork truck attachments come in all sorts of functions, including a snow plow, mounted sweeper and mounted magnet, all geared toward clearing a path of debris for other vehicles or pedestrians to safely travel. The fork truck attachments are as handy as they are effective, making it possible to own one piece of equipment for all of these needs, keeping costs and storage down. 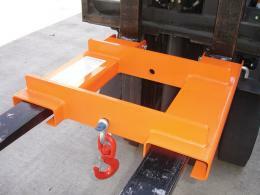 Because of how diverse the fork truck attachments are, where you can use them is boundless. The attachments work on farms, in warehouses, factories, hospitals, shipyards, docks, anywhere there is a need for any of the fork truck attachments and their accessories. This unique take on turning something as basic as a fork lift truck into something far more expansive is the height of work efficiency. The fork lift truck can now be an item you may not have thought would come in handy, but the attachments help determine where this makes the most sense and how you can get the best out of it. 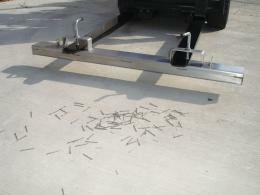 It may even be that the fork truck attachments help you eliminate waste at your company by whittling any excess equipment down to just one item you can pull out whenever you need it. 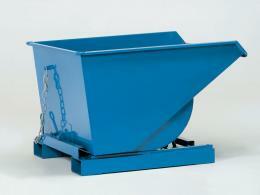 The possibilities with your fork truck attachments really are endless. Take a look through our selection to see all of the accessories available and the best way to get the most out of your forklift truck.